HomeAll Posts...Happy Chinese New Year! Happy New Year! Today, February 5, 2019 marks the beginning of the Chinese New Year. The traditional new year begins with the Chinese lunar calendar which, this year, begins on February 5. The new year starts with the first new moon that falls between January 21 and February 20. The New Year Festival is traditionally a time to celebrate deities and ancestors. On the Chinese New Year’s Eve, families gather together for the traditional reunion dinner. People also do a thorough cleaning of their homes to sweep away ill-fortune and make way for good luck in the new year. They also often decorate their homes with signs of good fortune, happiness, wealth and longevity. 2019 is the year of the Pig. The Pig is the twelfth symbol on the Chinese zodiac calendar. The Pig is associated with the Earthly Branch of the calendar and is typically a sign of wealth and good fortune. 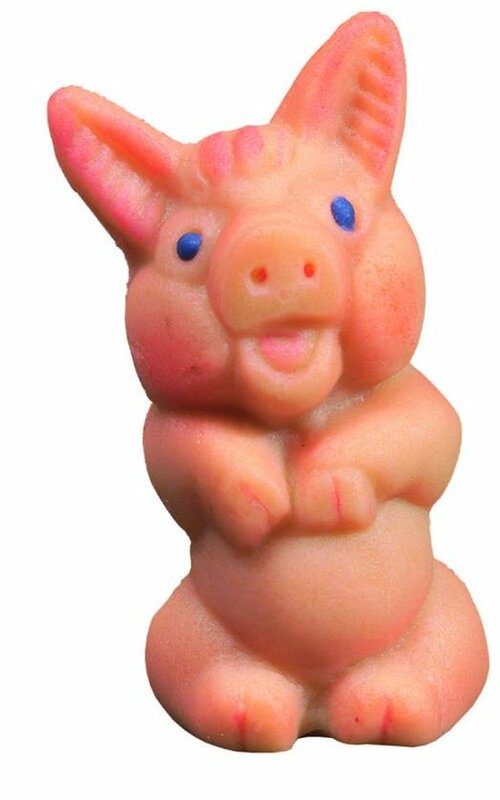 Get your Marzipan Pig from The Frenchman’s Corner before they are gone. They are really cute and they could just bring you good luck and good fortune for the coming year.